A massive computer outage at Sabre airline reservation system overnight was blamed for worldwide flight delays. The system went down went down at 12:20 a.m. ET (05:20 GMT) on Tuesday morning. The company confirmed the outage, saying its technology team is working to resolve the situation. Some two hours after the outage was reported, Saber announced bringing the system back online. Sabre systems are coming back online, and we are closely monitoring. We apologize for the inconvenience. Sabre is used by many airlines across the world. Among those affected by the outage are Alaska Airlines, American, Cathay Pacific, Frontier, Jet Blue, LAN, Quantas, United, Virgin America and Virgin Australia. Virgin Australia, which implemented the Sabre system in January 2013, told Computerworld Australia that it switched to a manual check-in process for all domestic and international flights. 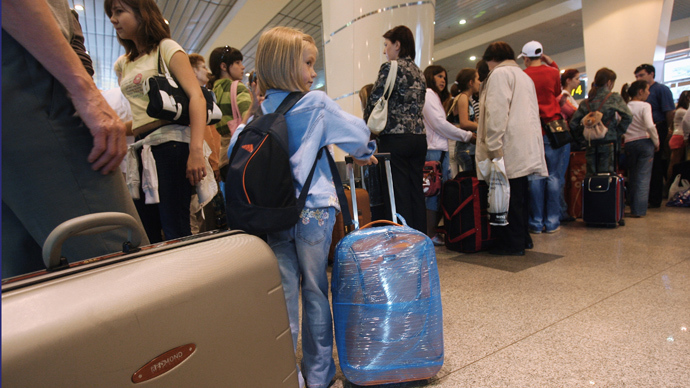 Sheremetyevo International Airport in Moscow said it’s booking services were not affected by the Sabre outage because it does not use the system.